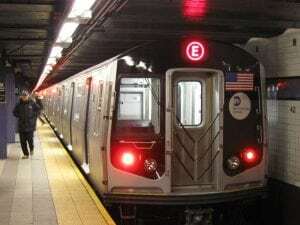 Brooklyn, NY (April 1, 2019) – On Monday morning, April 1st, police and emergency responders were immediately summoned to the scene of a fatal accident in which a woman was reported to have been struck and killed by a subway train. The deadly accident was reported to have taken place around 8:15 a.m. at the 59th Street N/R station in Sunset Park, according to police. Authorities who arrived at the scene stated that the victim, who has only been identified as a woman in her 30s or 40s, had possibly ended up in the path of the train after attempting to retrieve a cellphone. Investigators who worked at the site of the collision also discovered reasons to believe that the incident may have been an act of suicide, although the investigation continues at this time. The incident resulted in serious delays as police worked the scene, and no other injuries have been reported. Train service resumed a short a time later and no further details have been provided. People being injured or killed in New York train accidents sadly occurs all too often, and our deepest condolences are currently extended to the loved ones of the victim at this time. While it can be tremendously difficult, it is important for victims and their family members to understand that they may likely have significant rights in terms of recovering compensation for their loss. At Hach & Rose, we are well aware of the overwhelming concerns that often occur in the aftermath of a sudden accident. Our dedicated and compassionate accident attorneys are here for you 24/7 to answer any questions you may have at this time. If you have lost a loved one in a train accident in New York, please do not hesitate to call 212-779-0057 today.